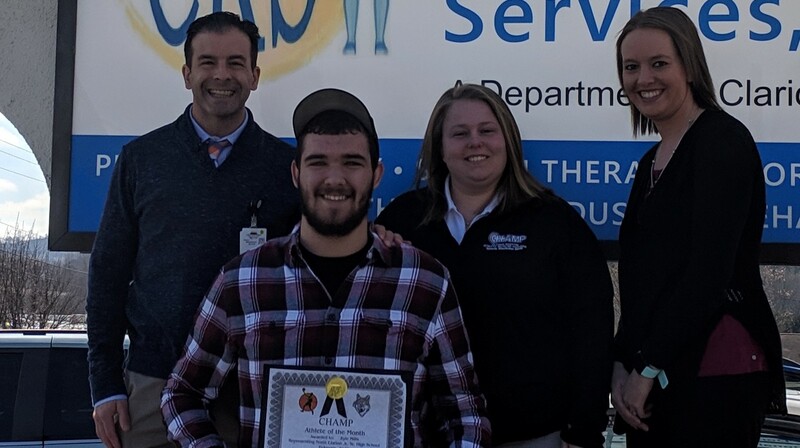 CLARION, Pa. – North Clarion’s Kyle Mills is the February 2019 Clarion Rehab Services and CHAMP (Clarion Hospital Athletic Medicine Program) Student-Athlete of the Month. Kyle is a senior at North Clarion High School. He participates in basketball and attends Vo-Tech at the Clarion County Career Center. His hobbies include hunting, fishing, skiing, riding dirt bikes, helping his neighbor, and working on trucks with his dad. Kyle’s future plans are to obtain his commercial driver’s license and work for Jefferson Paving as well as work in the welding field and drive a truck for his dad. 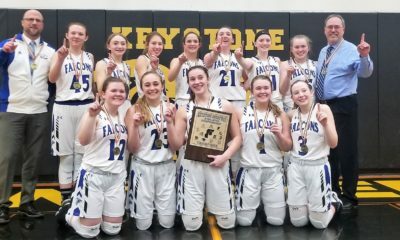 His favorite sports memory is “winning against Clarion-Limestone in the District 9 semifinals as well as being player of the game against C-L the first time they played. “My parents, family, coaches, teammates and athletic trainer are the most inspiring people in my life,” Mills said. Mills received gift certificates from Pizza Pub and DE Sports, Inc., who sponsored February’s CHAMP Student-Athlete of the Month.